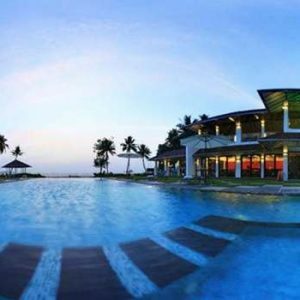 You can customize your Kerala Tour Packages from Raipur as per your requirement (duration, No.of persons, hotels and sightseeing etc.). 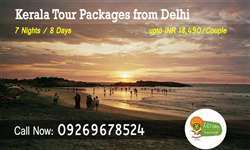 We also manage all kinds of Kerala tour services such as flight, train, hotel, bus and car rentals. Day 01 (Arrival Cochin and sightseeing): On arrival at Cochin (COK) flightport / Ernakulam railway junction (ERS); you will be picked up by our tour guide and escorted to the hotel (which is at 20-30 minutes drive from flightport). Get brief relax in your superior hotel room after a long flight/ drive. 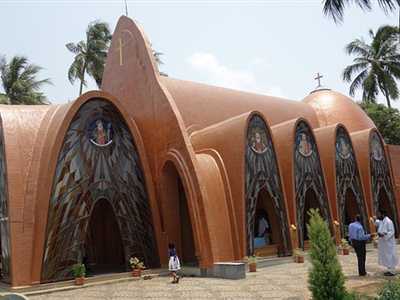 The rest of the day you can get a Cochin excursion (Fort Cochin beach, St.Francis church, Chinese fishing net, Santa cruz basilica, Mattancherry palace, Jewish synagogue, Marine drive etc.) and hotel overnight stay. Day 02 (Munnar hill station tour): After morning food gets ready to be picked up by our tour driver around 8-9am and drive towards Munnar (130 Kms/3.5 hrs.) with a sightseeing tour (Mattupetty, Echo Point, Kundala, Top Station, Rajamala (Eravikulam National Park), Attukal waterfalls and Pothamedu View Point etc.). 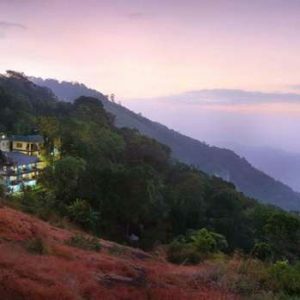 Overnight stay at hotel/resort in Munnar. Day 03 (Thekkady Periyar Wild Life Sanctuary tour): After getting morning breakfast drive to Munnar to Thekkady (90 km/2.5 hrs.) and will spend a full-day tour through Thekkady tourist attractions (Periyar wildlife sanctuary, Spice garden, Elephant Ride, Bamboo rafting, Jeep safari etc.). The main attraction in Thekkady is boating in the Periyar lake near the Mullaperiyar Dam. Late afternoon back to the hotel, and you can then explore the local area and overnight stay in Thekkady. Day 04 (Alleppey backwater houseboat tour): After morning breakfast at hotel, early departure for the beautiful Alappuzha (Alleppey). 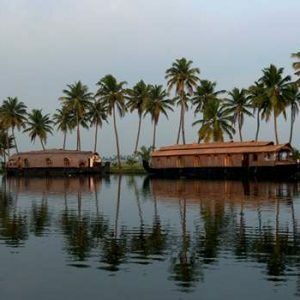 Check into the resort, with full day leisure at backwater houseboat and overnight stay. 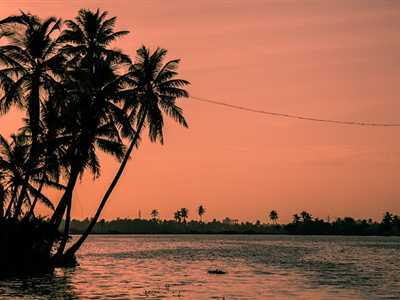 The Alleppey backwaters resplendent with giant coconut trees on the shores are alluring, taking you to the paradise on earth. Day 05 (Kovalam sightseeing): Move Alleppey to Kovalam, known for its amazing beach site in Kerala for about 4 hour driving. 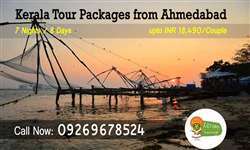 You can also en-route visit Sri Padmanabha Swami Temple premises and Kuthiramalika Museum, Thiruvallam Parashurama Temple, Vellayani Lake etc. 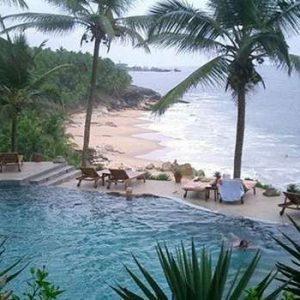 After arriving at noon, you will check in a beautiful beach-side Kovalam hotel for an overnight stay. 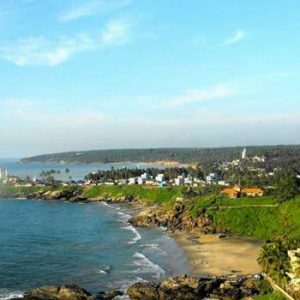 Day 06 (Kovalam beach tour): After breakfast or lunch proceed to Kovalam beach, sightseeing to admire beaches or a panoramic view of the Arabian Sea, Vizhinjam Rock Cut Cave Temple, Karamana River and Boating. Do visit the Light House Beach and Kovalam Art Gallery nearby. Evening free to relax for the beach activities. Overnight stay at Kovalam. Day 07 (Kanyakumari tour): After enjoying the breakfast on the Kovalam beach resort, get transferred to the Kanyakumari (100km–3hrs) for all day sightseeing tour (visit Swami Vivekananda Rock Memorial & Thiruvalluvar Statue, Gandhi Memorial, Triveni Sangam, Kanyakumari Temple etc.). Back to Kovalam in the evening and overnight hotel stay. Day 08 (Cochin departure day): After a refreshing breakfast at the hotel you have free time until departure. After hotel checkout, you will be transferred to flightport/ railway junction for your onward journey. Standard hotel check in time is before 12:00 AM. Early check in is subject to availability of the hotel. Standard hotel check out time is before 12:00 PM. A minimum 2 adults is required to join the tour. For single person additional 50% charge. Child under 5 years free of charge, and 12 years 50% of the price will charge. Our package rates are very reasonable and fflight, that means NO HIDDEN FEES. Payment by Credit Card required 2% additional charge will taken. Booking at least 5 days in advance (for current booking hotel availability will check). If no listed hotels are available, alternative accommodation will be arranged in a similar level hotel. Any damage to the hotel's rooms will be borne by the tourist concerned during your stay. Goods and Services Tax (GST) extra as applicable. 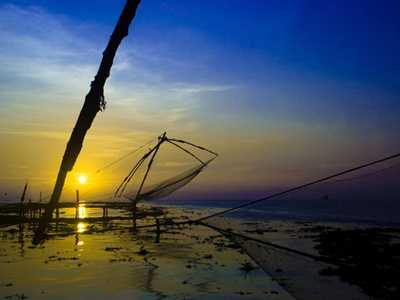 Kerala is a place which can be visited anytime. Especially for people seeking calmness and who want to be away from the chaotic life. Kerala is the place for. 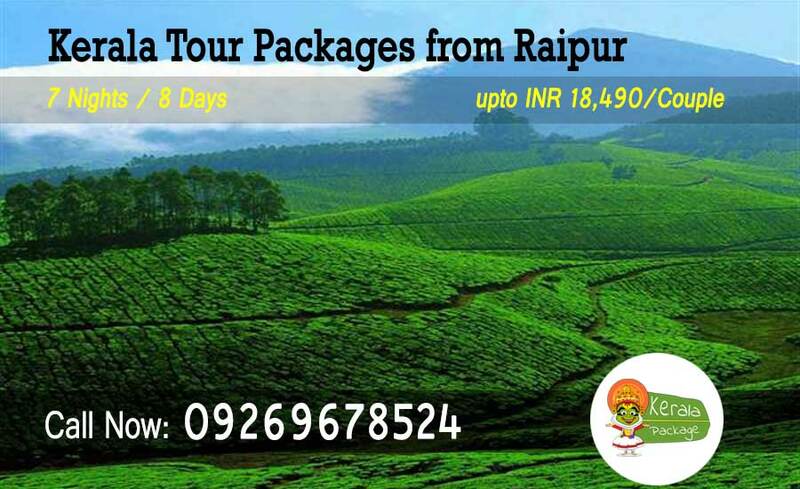 Raipur to Kerala tour packages can be booked at a very decent price. Kerala is over all a place which cannot be compared to any city. There are millions and millions of tourists flooding in every year just to witness the beauty of the city. 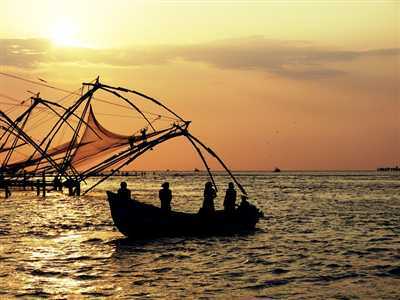 It may sound astonishing but Kerala has a grabbed a big name in the tourist destination over the year. 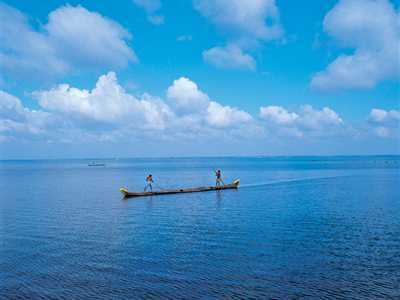 Alleppey it is one of the most visited places in Kerala reason being its backwaters. 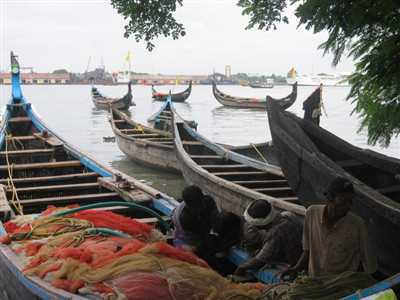 Then Kovalam a beach town an astounding experience for the beach lovers. 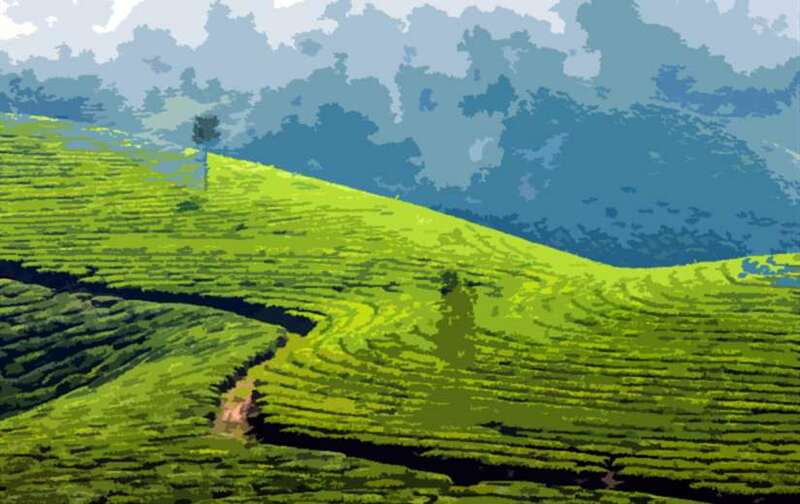 Then there is Munnar a rocking hill station which can take your heart away. So basically Kerala is home to many wonderful places. Trust me once you visit the place you will be in love with the God’s own country. So who so ever is looking to run away from the hustle and bustle of the happening cities visit God’s own country. Kerala has many excellent festivals also to celebrate which can make your trip more special. 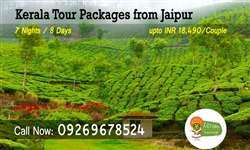 So do not wait grab the chance and visit the state at the earliest to explore the best of it. 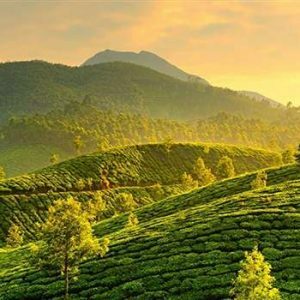 Kerala is famous for stunning beaches like Varkala and Kovalam, Backwaters of Alleppey and Kumarakom to the mesmerizing hillside tea gardens in Munnar and Thekkady wildlife landscapes. 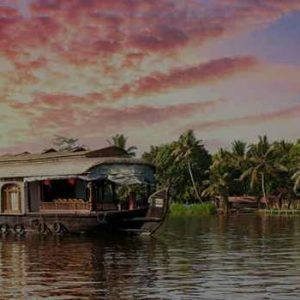 This Kerala tour packages from Raipur covers Cochin, Munnar, Thekkady, Alappey, Backwater houseboat, Kovalam, Kanyakumari and all most attracted places in Kerala. 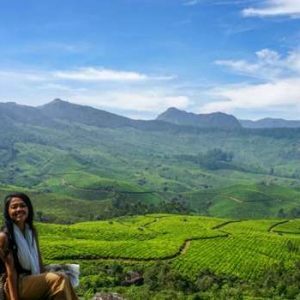 You can book our best designed Kerala tour packages for couple or you can proposal your own Kerala package, as suitable to your travel budget. Here we assure you 100% satisfaction guaranteed by our 24×7 help desk.